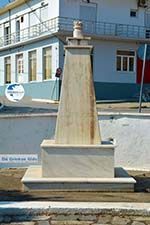 Nea Koutali. 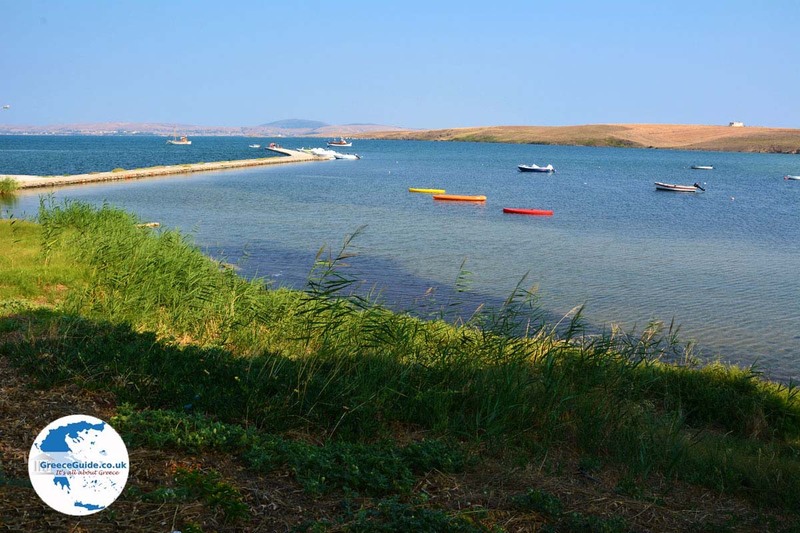 Nea Koutali is the "sponges village" of Lemnos. 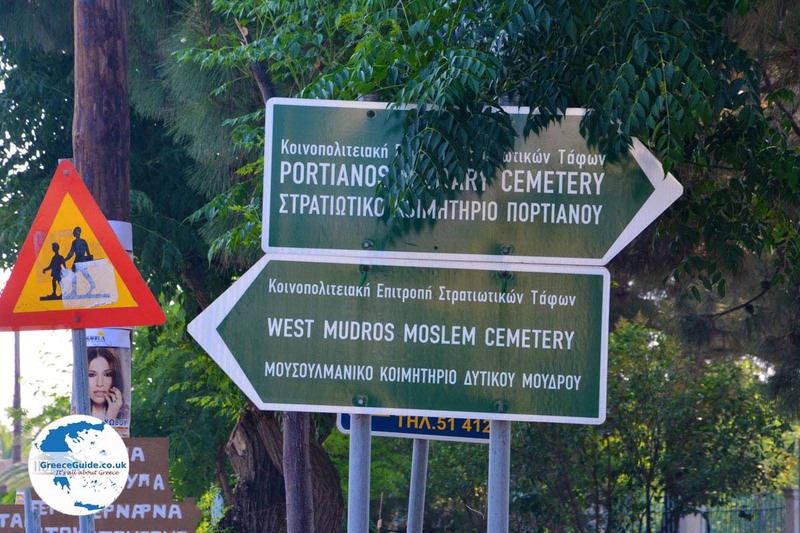 It lies on the west coast of the bay of Moudros, sixteen kilometres from Myrina. 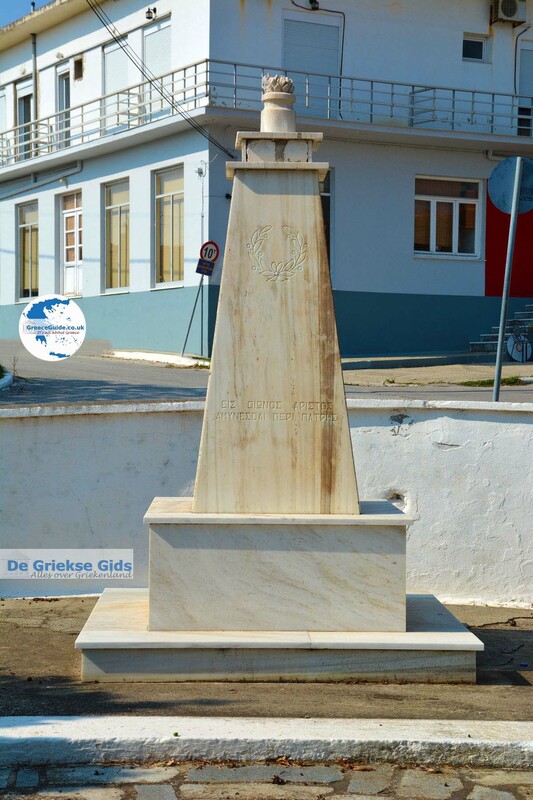 The village was founded in 1926 by Greek refugees from the island Koutali in the Sea of Marmara in Turkey. 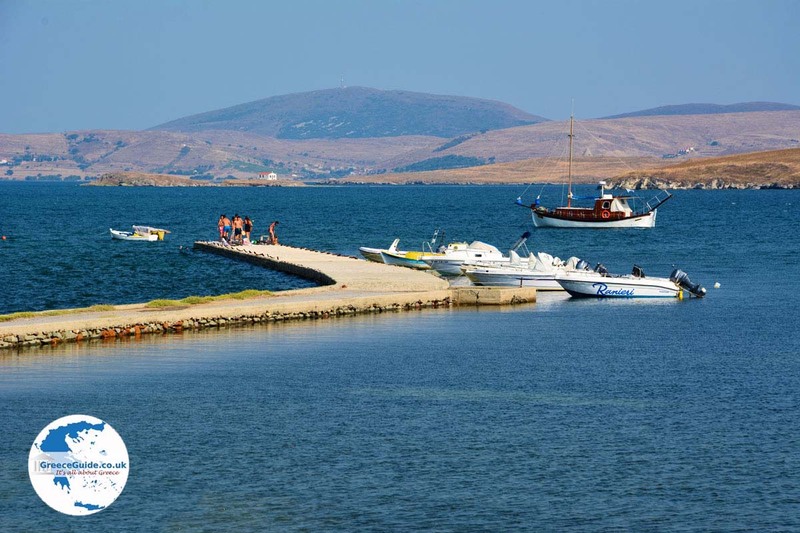 Nowadays the islet in Turkey is called ‘Ekinlik Adasi’. 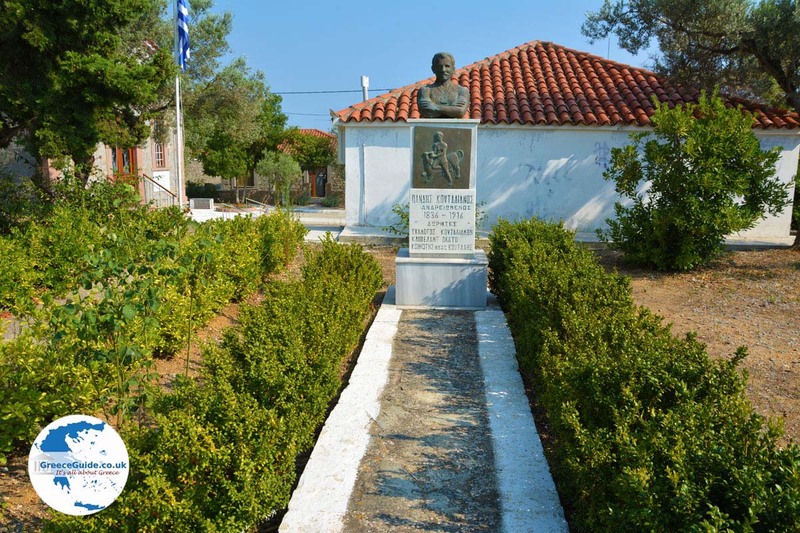 In Nea Koutali is a museum where various objects and pictures are exposed from the time that they lived in Turkey. At the museum is the sponge-history of the villagers is exposed. Nea Koutali lies on the slopes of a low hill (Strompolithos) where a pine forest on the summit was planted by the inhabitants themselves when they settled here in 1926. The streets in the village are straight, they cross each other. In the village, nearly all the houses have a private courtyard with gardens and flowers. Down the hill, lies the fishing port. At the harbour are tavernas and cafeterias. Nea Koutali in Greece is internationally known for sponges that are processed here and in addition the mussels that are cultivated here. 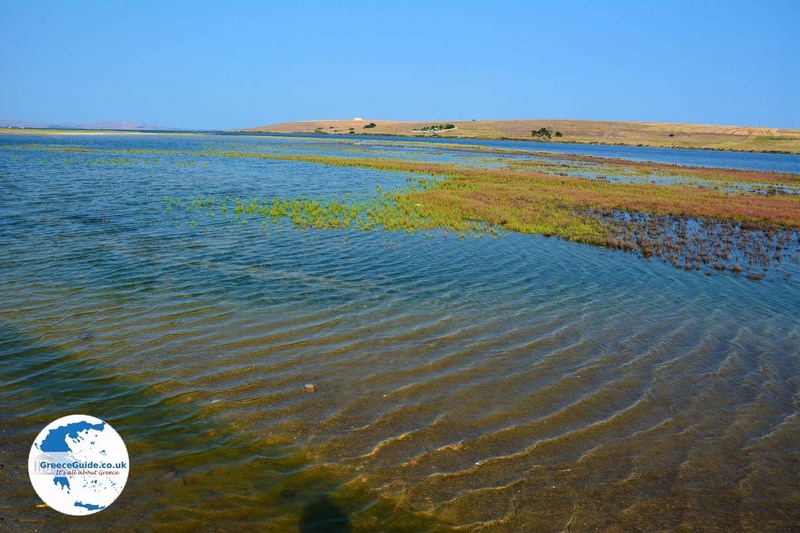 Near the village is the swampy area of â€‹â€‹Nea Koutali which attracts many nature lovers and bird watchers. Every year on August 6th, there is a big folk festival where people from all over the island come here to dance and party. 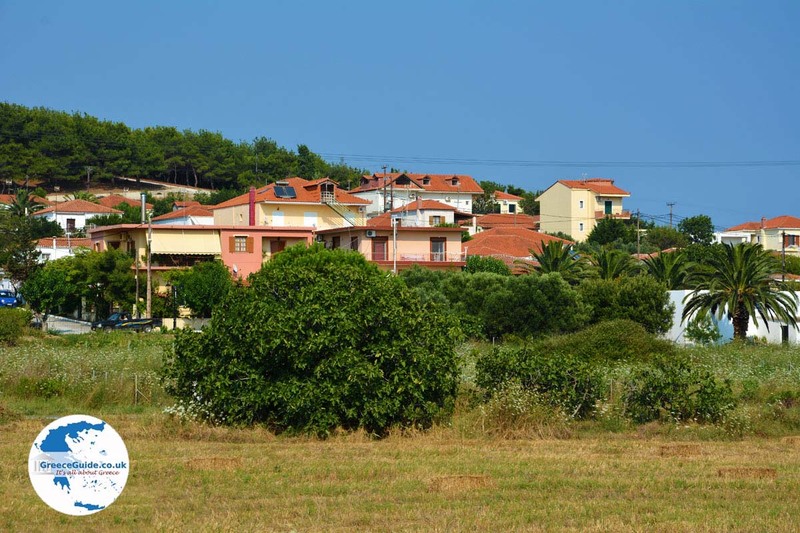 A nice village near Nea Koutali is Neo Pedino. It is a village that has been built in 1968 on the same spot where the village Pedino originally was, which was completely destroyed by a severe earthquake. 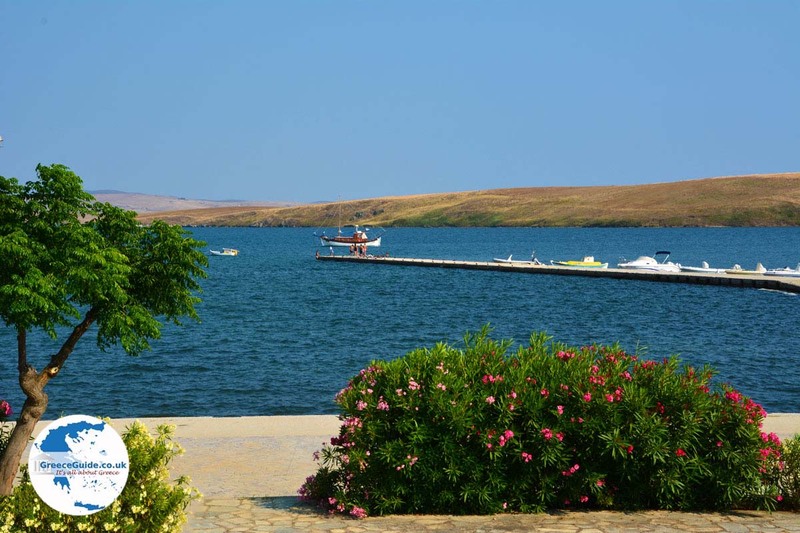 Three kilometres south of Nea Koutali is the village Portiano. It is a small, quiet village where beautiful traditional houses can be seen, all built of stone. 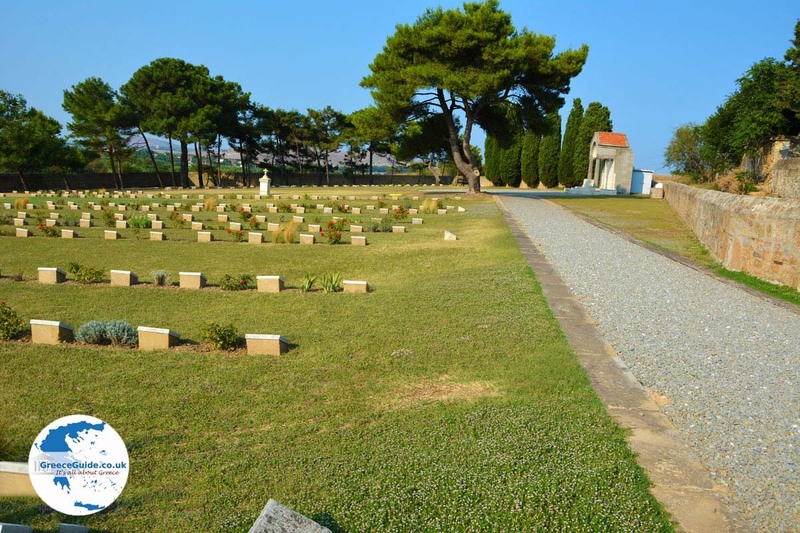 In Portiano there is also a cemetery where soldiers of allied forces from Australia and New Zealand have been buried after the war of 1915 against the Ottoman Empire. 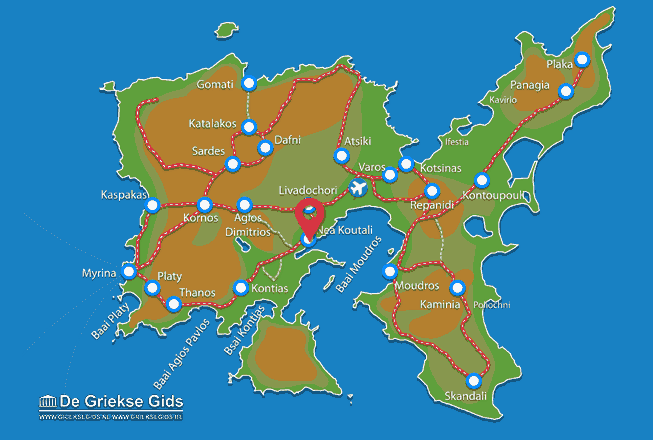 Lemnos: Where on the map is Nea Koutali located?